Next up is Otis Redding's second full album, The Great Otis Redding Sings Soul Ballads. It's a lengthy little album title and it does seem a little presumptive to be calling Otis great on just his second album. But by the time the album ends, there's just no doubt that he richly deserves that moniker. Incredible song after incredible song reveal themselves as the record plays. I think the most famous song from this album is the classic "Mr. Pitiful," and it's a classic for a reason. That's just one of so many great tracks on this album. 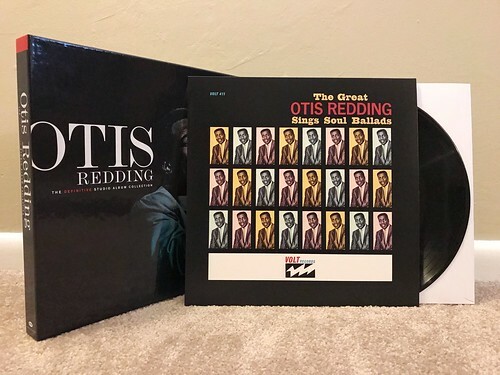 "That's How Strong My Love Is," "I Want To Thank You" and "Home In Your Heart" are easily on par with "Mr. Pitiful" and show just how much Otis grew from his first album to this one. You can tell already that he's something special and is every bit as great as the album title suggests.